As competition in the e-books device market heats up, Borders is cutting the prices of its leading eReading devices, the Kobo and Aluratek to $129 and $99.99 respectively. The Kobo was previously priced at $149.99 and the Aluratek was priced at $119.99. Borders is also announcing that Velocity Micro’s Android-based Cruz Reader R101 and Cruz Tablet T103 are now available for preorder on Borders.com for $199 and $299 respectively. Borders is currently offering 1.5 million titles through its e-book readers. The latest price drop isn’t surprising-Borders has been launching a series of products and initiatives to drive sales and traffic towards its e-book offerings. Most recently, the company tried to drive more downloads for its free mobile applications for Android, iPad, iPhone and BlackBerry as well as its desktop applications by offering five free books – valued at more than $40 – and content exclusive to the company. 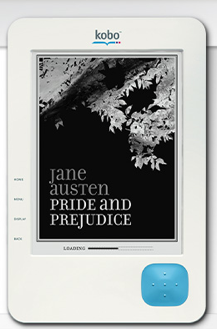 Earlier this summer, Borders launched a branded eBook store and released the BlackBerry, Android, iPad and iPhone eReading applications, all powered by Kobo. The question is whether Borders can still compete in an increasingly competitive and cutthroat market. Kindles are selling at record rates (and dropping in price); and Barnes & Noble slashed the price of the Nook. And Apple is ramping up its presence in the e-books space with iBooks and the iPad. Plus, Google is expected to launch Google Editions, their e-Book platform soon. Does Borders have any hope?